Projector Vs. TV – What Is The Difference? A TV projects an image onto its own screen from behind, while a projector casts its image outwards, to be shone onto an external screen. It's similar to watching a film at a cinema, only the image is smaller. To view the image from a projector, you will need a flat, blank surface. Dedicated screens are available for purchase, or alternatively you can use a large, blank, light-coloured wall. Typically, the image is better if projected onto a screen, of course, this will require extra cost. Screens are designed specifically to reflect a projected image, producing brighter colours and a more vivid contrast than if a wall is used. Unlike a television set where the screen size determines the size of the image, the size of the image displayed by a projector will vary depending on how far the projector itself is from the screen or wall. If the projector is too far away, the image will seem pixilated and distorted, whereas if it is too close, the image will be very large and you may be unable to take in the whole picture (like sitting too close at a cinema). Generally, a distance of about 5m is ideal. Resolution – The image from a home theatre projector varies in the same way as that on a television screen. Higher resolutions will make for a more detailed image displayed. Projectors are available in resolutions up to High Definition 1080p, displaying 1920 pixels vertically and 1080 pixels horizontally. Like TVs, these have a higher cost than lower resolution projectors. Lamp life – Data projectors have a built-in lamp that is specially designed for casting an image. Although they last a long time, the lamp is generally quite expensive, so the lamp life is an important consideration. Generally, projector lamps have a life ranging from 3000 to 5000 hours. This is generally how long it takes for the lamp to reduce to half its original brightness. Brightness – A key feature of any home theatre projector is its brightness, which is measured in "lumens". Typically, about 1500 lumens is good enough to see an image clearly. Bear in mind the different lighting conditions in which you will be projecting. If the room you have selected has a large amount of ambient light from windows, skylights, etc. you will need a higher brightness setting to properly view the image. In this case, the lamp life will be shorter as it will have to consume more power to project the image correctly. Aspect ratio – This is the ratio of an image's width to its height. The most common aspect ratio is 4:3, while DVDs that have a widescreen setting have an aspect ratio of 16:9. Most home theatre projectors have a variable aspect ratio so you can watch in different formats. If the projector can only display one aspect ratio, you can still watch different formats, although the image may be slightly squashed or stretched when displayed. 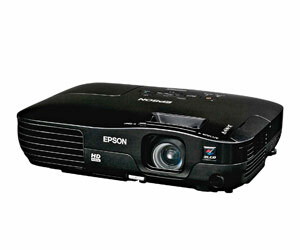 Weight – Most projectors are fairly lightweight so you can move them to different rooms or even take them away with you. 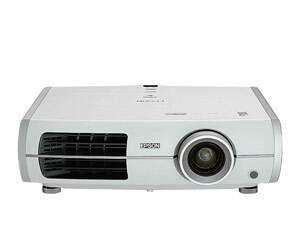 Depending on what you want to use your projector for, make sure you are comfortable with its weight and portability.